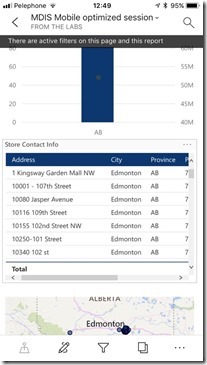 Reports are one of the most powerful features of Power BI. Several months ago, we introduced phone reports, and we continue to improve on them. Phone reports allow creators to optimize for the size, shape, and touch interaction of a phone, with minimal effort. Phone reports enhance the mobile experience, with features such as a dedicated focus mode for visuals, the ability to drill in visuals, sorting options, and collapsible menus. We're excited to introduce filters as are our latest improvement to phone reports. With filters in reports, you can quickly remove everything except data on which you want to focus. Even better, filters on phone reports require no extra work! If a filter is defined on the original report, it automatically works on phone reports. To view the filter pane, tap the new filter icon in the report action menu for page- and report-level filters, or open a visual in focus mode and tap the new filter icon for visualization-level filtering. You may also use the visual actions menu directly from the report canvas to access visual-level filters, if configured. Note: If a report is defined with filters, they carry over and are accessible on the phone report as defined by the report creator. 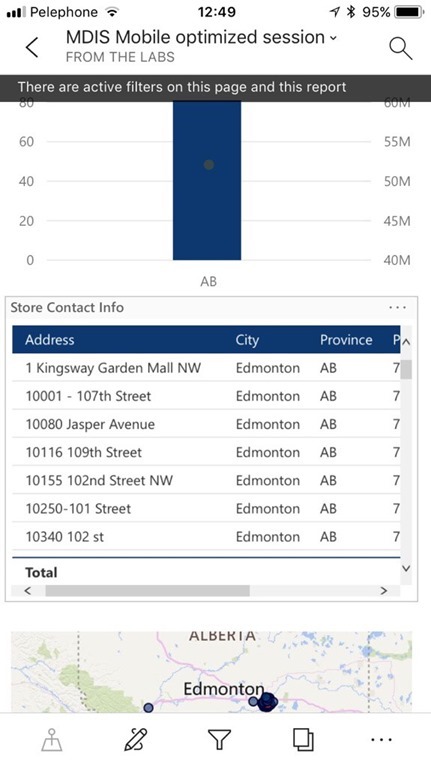 All filter types and functionalities that are available in the Power BI service and Power BI Desktop are also available as phone reports. You can easily use the new touch-optimized filter experience to filter your report based on selection. When you filter a phone report, you'll see an indication that a filter is active. The indication disappears automatically after a few seconds. If a report has a filter to start with, the indicator highlights that fact. We are happy to launch this powerful addition to our already powerful suite. Filters will first be available on phone reports for iOS and Android, and we encourage you to create your own phone report and try them out! Let us know in the comments or in the community what you think.